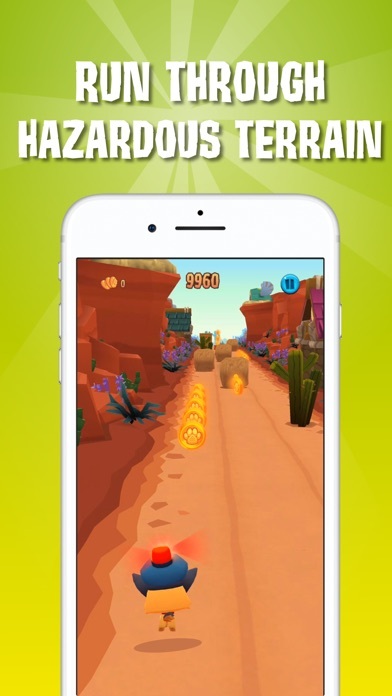 Home » Games » Dash Tag - Fun Endless Runner! PETS ON THE LOOSE! Run, dash, slide, and jump your way through forest treetops, redrock canyons, and other challenging terrain! Collect dozens of pets, complete daily missions, and unlock tons of fun goodies. 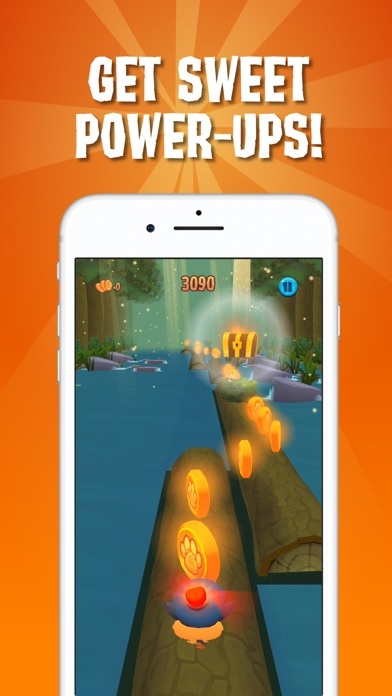 Welcome to Dash Tag, the best endless runner game! 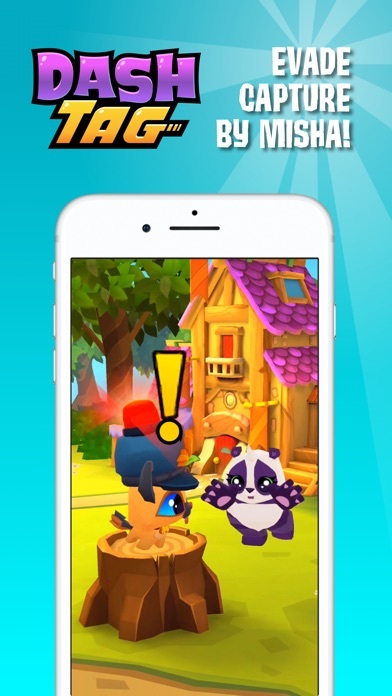 Choose your favorite pet and get ready to run with your friends and evade capture by Misha! •	Collect dozens of rare and unique pets •	Play as every pet you collect •	Unlock power-ups, outfits, and stats •	Speed through levels in pet cars •	Endless runner with new missions every day •	Free to play •	Easy to learn Use the coins and emeralds you collect to purchase loads of upgrades like costumes, power-ups, and even pet cars! The farther you run, the more you collect. And the more you collect, the more fun you'll have! So whether you prefer to scamper, scurry, or scuttle, join the fun of this amazing pet adventure today! Dash tag is #1 app!!! I play Animal Jam desktop and Animal Jam Play Wild, and THIS is just as great!!! 👍 I do have an idea to make the game even better! Maybe make new maps like Balloosh, maybe even a thing where you could play land or ocean??? I love it so much super addictive and fun get it plz the animals are so cute I just wish there was a meadow terrain but 50000000 stars great job guys. I love this game. It is one of my favorites but then as I go on to play one day I can’t jump, slide, move to the right, or move to the left. What um saying is, I can’t move at all! My pet keeps on going forward and crashing and I can’t do anything about it. Please fix! I really love this game but now I can’t play. This is one of my favorite games.It’s just like Subway Surfer but you can catch cute pets.I have all the pets and my favorite is Clip.He is so cute and gets you far at the same time.My last one to get is Drake.I like this game very much but it needs some improvements.It needs more pets so I can have more pets to get.They need to be new types of pets so when I use a lure it will not take forever to get the new pets.I think it needs some elephants, monkeys and birds.Also when a pet is fully upgraded you can still get it.I think once a pet is fully upgraded you should not be able to get it anymore.You should also be allowed to add clothes to your pet.There should be a dressing room upstairs.Please consider these changes. Well, overall the game is very good. 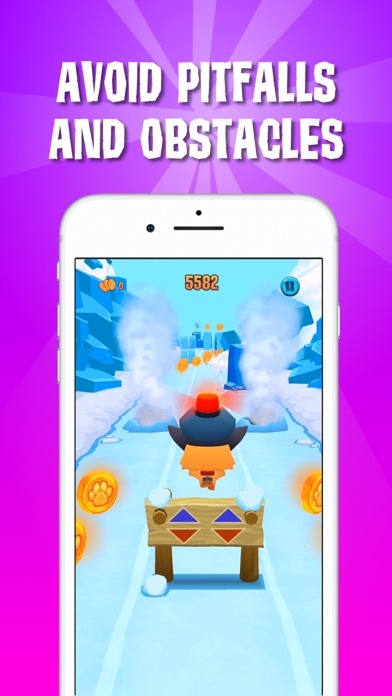 Though, it is very similar to Subway Surfers. I just think that some of the game might be copied off of it.